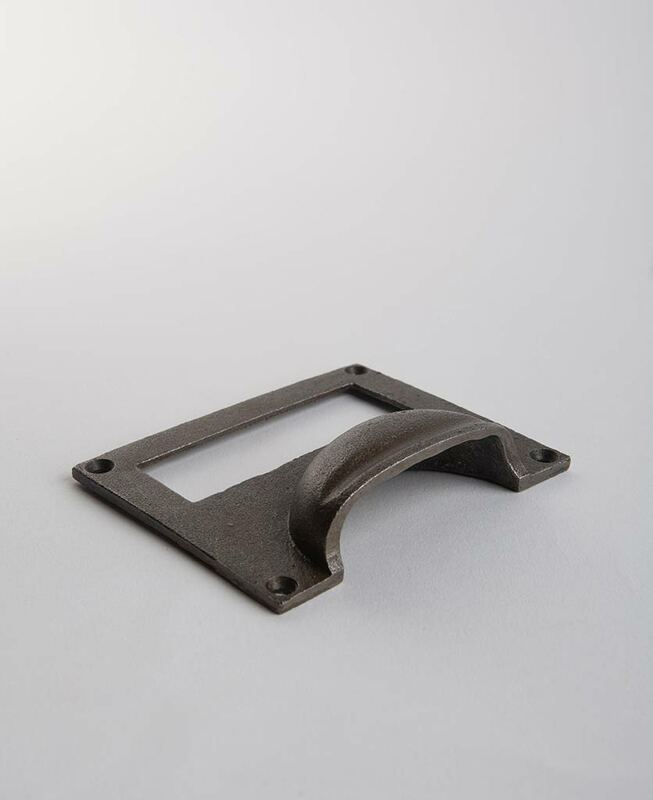 A NOOK kitchen door handle is a great way to add a spot of vintage farmhouse chic to your kitchen. Perfect for using on an antique Welsh dresser but amazing using as kitchen cupboard handles and drawer pulls. 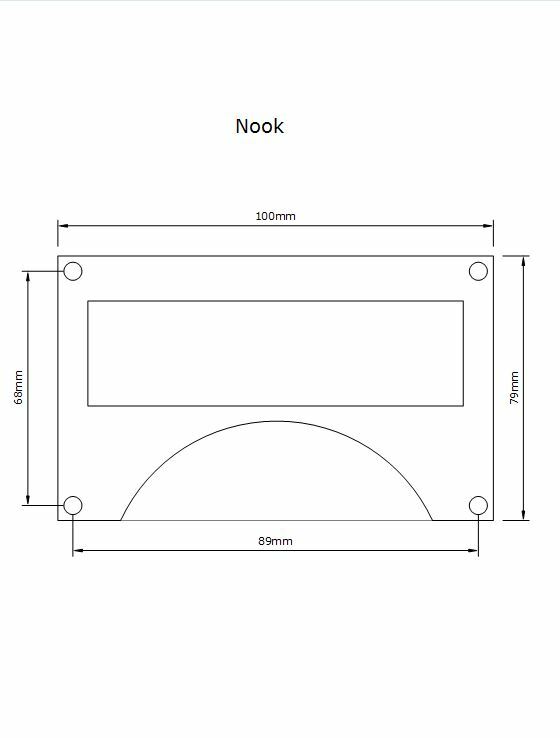 Our NOOK kitchen door handle is a vintage farmhouse style cupboard handle that’s absolutely perfect for wooden unit doors and drawers in any country kitchen. 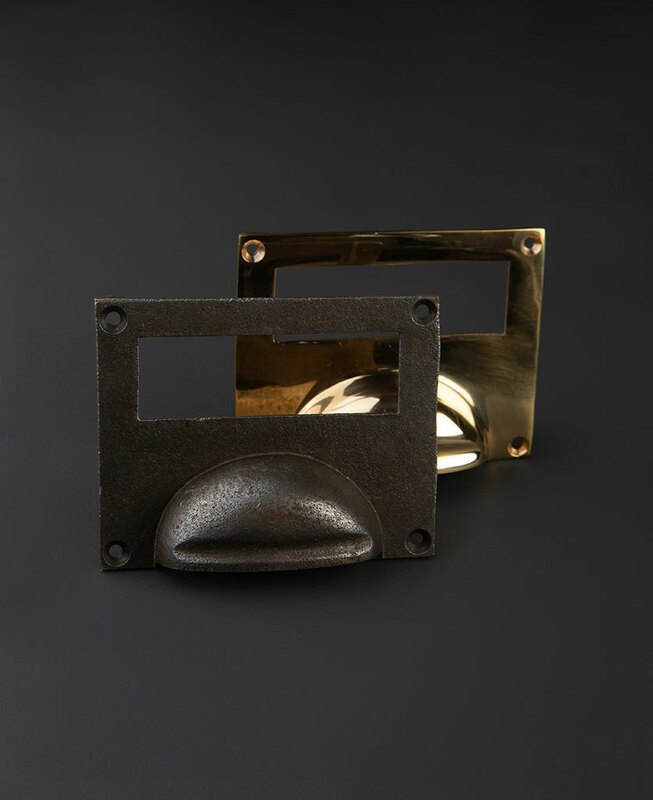 These solid metal pull handles are semi-circular scoops on a rectangular background complete with label cutout… Just like those you’d find on sets of archive drawers in traditional factories and libraries. 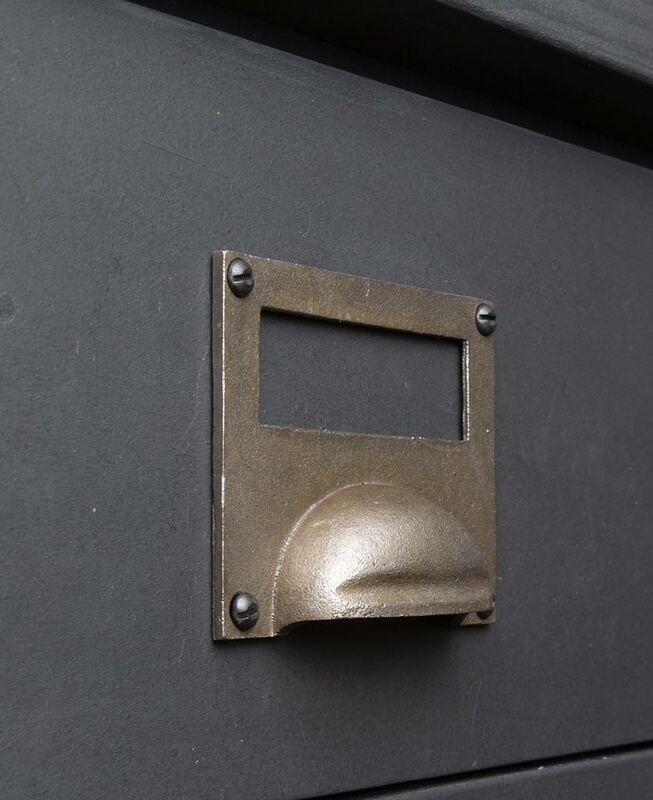 As a result, they’re also a great vintage industrial finishing touch. 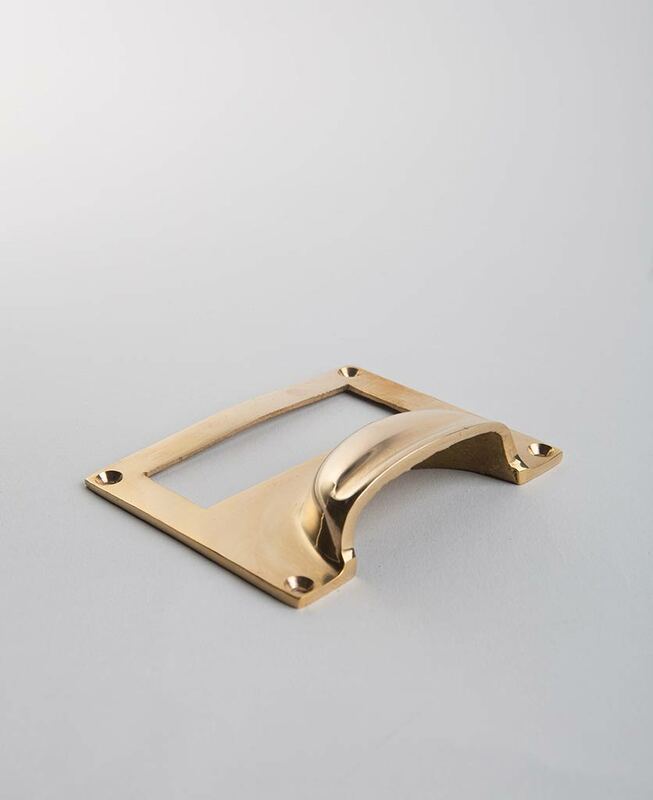 You’d traditionally find these vintage style handles affixed to wooden cabinet doors and drawers, and to be honest that’s where they look at their best. Be it painted wooden surfaces, natural reclaimed wood or planed and oiled wood. So long as its wood basically.